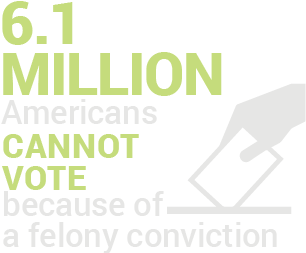 The Sentencing Project urges Senate to prioritize passage of the Democracy Restoration Act. Republican lawmakers in Florida push bills to limit voter eligibility under Amendment 4, legislation would restore voting rights after incarceration in Minnesota, and more in our latest Disenfranchisement News. After his release in June of 2004, Andres Idarraga became a full-time student at Brown University studying comparative literature and economics while maintaining full-time employment. Idarraga saw his right to vote as a significant and crucial aspect to rebuilding his life and to contributing to his community. The Next Step highlights 15 reforms in 19 states implemented over the past two decades that have produced more effective, fiscally sound, and humane policies for people convicted of violent crimes. Seven states – Illinois, Kentucky, Minnesota, Mississippi, New York, Oklahoma, and Vermont – have introduced legislation this year to require racial impact statements. Marlo Hargrove and David Waller both successfully regained their voting rights after receiving felony convictions and serving their sentences. Since Florida's success with the passage of Amendment 4, lawmakers and advocates in California, Iowa, Minnesota, New Mexico, New Jersey and Kentucky have advanced proposals to restore voting rights. The Sentencing Project urges House Judiciary Committee Members to prioritize passage of the Democracy Restoration Act. Kimberly Haven’s journey as an advocate began when she sought to regain her own voting rights after release from a Maryland prison in 2001. She soon became passionate about the unfairness of disenfranchising citizens after they have completed their sentence and returned to the community. After the passage of Amendment 4 in Florida, Kentucky and Iowa are now considering voting rights restoration. In 2018, formerly incarcerated activists, lawmakers, and advocates worked to challenge mass incarceration. This briefing paper highlights key changes in criminal justice policy achieved. As a previously incarcerated person who had his voting rights restored in 1996, Denver Schimming knew the power and importance of voting. His years in prison taught him that the criminal justice system could change only if impacted people spoke out. After his incarceration, voting was one of his highest priorities. 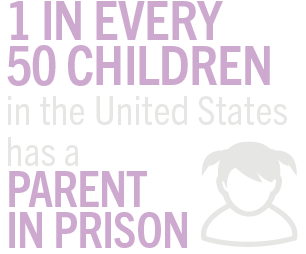 The dramatic growth of life imprisonment requires advocates and lawmakers to address the problem of excessive sentencing to end mass incarceration. From prison cells to PhD, Dr. Stanley Andrisse shares his transformation to inspire those impacted by the criminal justice system.